Is Your Partner Hiding Assets? Divorces can quickly get messy, especially when money and real estate is involved. If you’re in the midst of a break-up and are having trouble coming to amicable terms with your partner when it comes to dividing assets, a little extra digging might be required. If you suspect your partner (soon to be ex partner) is hiding assets and being untruthful about their half of your joint finances, talk to a Perth private investigator to see what your options are. However, in these sorts of cases, an asset search is usually the most appropriate way to proceed. An asset search can encompass a number of things, including a nationwide search of public records or a more in-depth search of records that are not readily available, to determine someone’s financial worth. During the search, your private investigator will look at any real estate or personal property an individual owns, as well as things like bank accounts, stock holdings, superannuation funds, and any other assets, like cars and expensive jewellery, which might effect the value of your divorce settlement. Why are Family Asset Searches Usually Conducted? More often than not, family asset searches are conducted during divorce proceedings. However, people also conduct asset searches when they’re seeking unpaid child support. In a perfect world, everyone would be honest and no one would lie about anything, especially not financial worth during divorce proceedings. But, sadly, hiding assets during a divorce is becoming more common, especially when there’s a lot of money at stake! 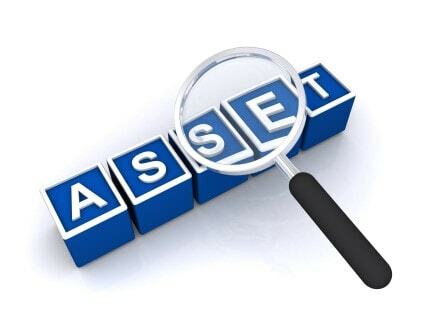 An asset search will help locate any hidden assets or unreported earnings. Hidden assets might include valuable items, hidden cash or wired funds, and even secret property. If you suspect your partner is being secretive when it comes to their finances, have a think about their recent behaviour. Have they been acting suspiciously, or has there been any unusual activity in your joint or personal accounts? If your partner usually handles all of your household financials, now’s the time to start getting up to speed with what’s going on. After all, you don’t want to miss out on what’s legally yours simply because you didn’t know what you were entitled to. Asset searches are also useful for verifying finances, and will ensure each party is being honest and lawful during divorce proceedings. Are you struggling to make ends meet because you’re not receiving the child support payments you’re owed? Your ex partner might claim they can’t afford to make the payments or that they’re unemployed, but are they telling you the truth? Unfortunately, there are a lot of parents out there who deceive their ex partners, and even cheat the system, so they can get out of paying child support. An asset search will uncover their deception, ensuring you receive the payments you’re entitled to. At In Depth Investigations, we can assist you by completing a thorough asset search that will determine the true financial status of your partner (or ex partner). We can also assist with child custody cases, and infidelity investigations; talk to In Depth Investigations today!